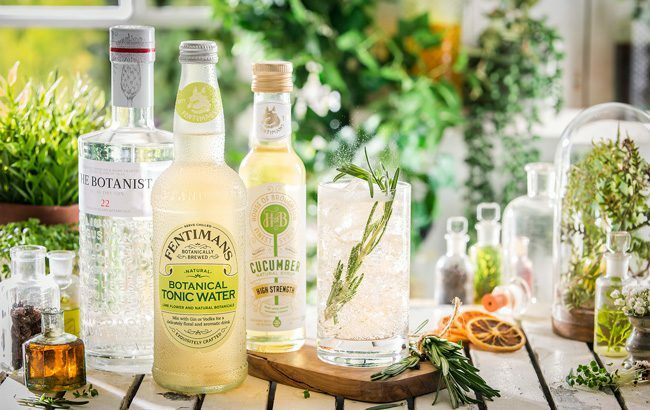 Botanically brewed mixer manufacturer Fentimans has launched its Save the Botanicals campaign in the UK on-trade, which aims to highlight endangered British plant species. The campaign has been launched in preparation for World Earth Day (22 April), and will highlight endangered plant species through bespoke cocktail menus, with each drink named after a rare British plant. Teaming up with Plantlife, the wild plant conservation charity, Fentimans has compiled a list of botanicals that are amongst the rarest in Britain, such as spreading bellflower, red helleborine, lesser butterfly orchid, meadow clary and crested cow-wheat. Fentimans has partnered with leading cocktail bars across the UK, including Public in Sheffield, Cottonopolis in Manchester, Her Majesty’s Secret Service in Bristol and Heads + Tails in London. Each bar will be serving a Save the Botanicals G&T, which combines The Botanist Gin, cucumber syrup and Fentimans Botanical Tonic Water. Bartenders in each venue will also create a signature drink dedicated to one of the endangered plant species. The cocktail will be served with a small packet of plant seeds for drinkers to sow in their own gardens or in local community plots. The menu will be illustrated with botanical drawings of the rare plant species and will be available to try at participating bars over the Easter bank holiday weekend (18-22 April). Through its Save the British Botanicals menu, Fentimans hopes to help Plantlife bring threatened wild flower species back from the brink of extinction.